Newly Renovated, free hot breakfast, pool, hot tub & fitness center. Settle into a fresh and modern suite with plenty of space work and just relax. Across from the Louis Joliet Mall with indoor heated pool, hot tub and free hot breakfast. Enjoy the quality of free hot breakfast, indoor heated pool, hot tub in our spacious rooms for the right price. Welcome to Holiday Inn & Suites Joliet, Joliet's premier hotel and meeting facility. Experience one of the finest hotels in Joliet, IL, located minutes away from the Chicagoland Speedway, Route 66 Raceway, and the Joliet Park District. 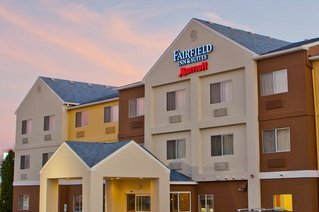 Join us at Fairfield Inn Joliet South, our comfortable & convenient hotel located off I-80 in Joliet IL. Near two Joliet race tracks, Chicagoland Motor Speedway and Route 66 Raceway, racing and NASCAR fans.